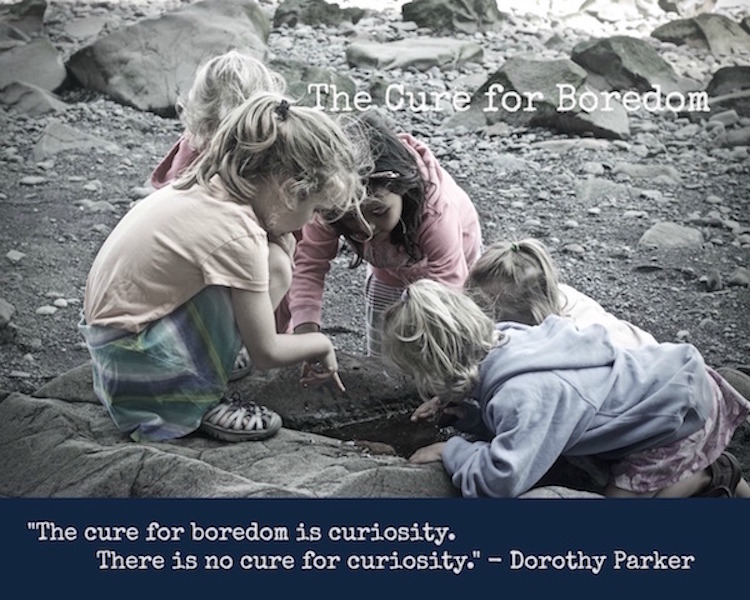 Cure For Boredom: THIS is spring? It was another gloriously sunny day here, but tricky Mother Nature has us all fooled. What looks like a balmy afternoon of 10 Degrees (Celsius) has actually been about -20 with the wind chill. The first official day of spring? I don't recognize spring anywhere? Long johns, parkas, plugging in the truce- these are signs of a cold deep freeze in winter. 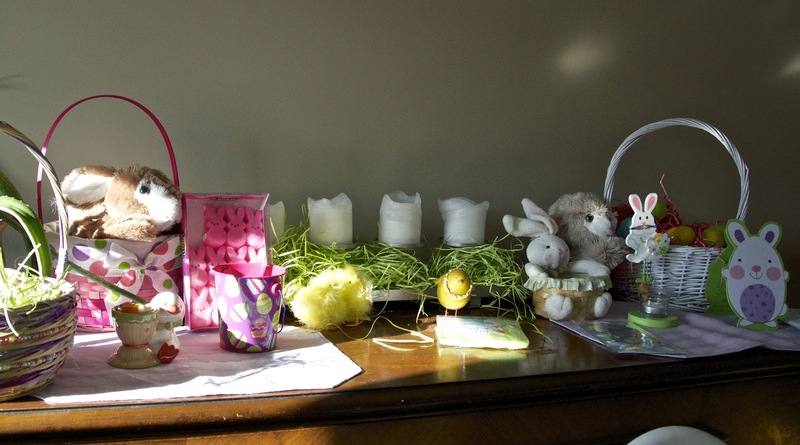 Whatever the thermometer says, the calendar says Easter is approaching. Abby helped me decorate the buffet in the kitchen and we talked about celebrating new life, in spite of the absence of it in our natural world outdoors. 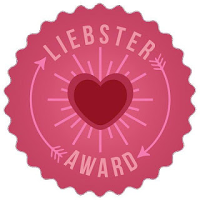 In administrative matters, my friend Callista has bestowed a blog award unto me. Thanks! 1. Are you a bright eyed and bushy tailed in the morning, jump out of bed ready for the day kind of person, or slow to wake, don't push my buttons, kind of person? I like to wake up first, even if its just a few minutes before everyone else. I haven't woken to an alarm in years, but my biorhythm gets m up about 7:30 most days. I wake up slow, stretch and mozy downstairs. I drink some water, make the babies' bottles, eat a protein ball and enjoy the quiet moment reading favourite blogs until a baby wakes or Abby peeks her head out her door. 2. Are you a reality TV fan, if so what's your favorite show? Not a fan of the genre in its entirety, but I like Intervention, The Bachelor (my guilty pleasure! ), Dr. Laura Berman, and the Duggars, haha. 3. What is your favorite quote or saying? 4. A beauty product you can't live without? 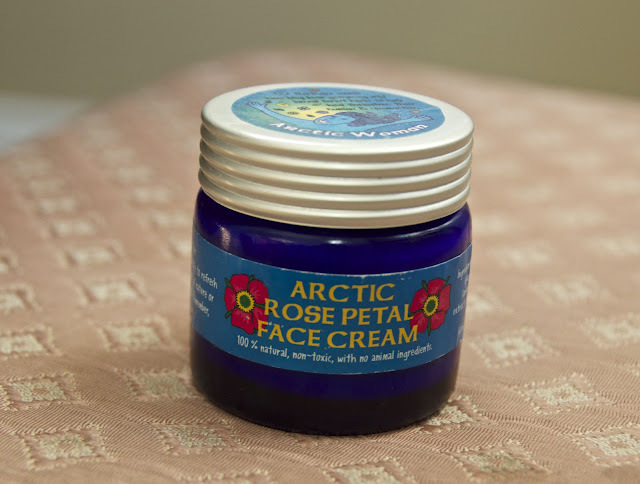 After searching long and hard, up and down, cheap and expensive, my favourite product is Aroma Borealis' Rose Petal face cream. It keeps me looking awake when I don't necessarily feel it! 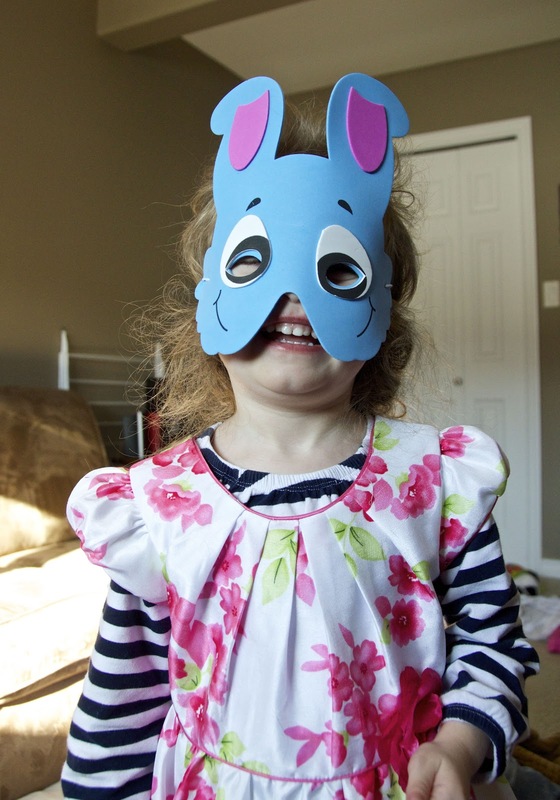 1- If your kid developed a massive unibrow, when would you start plucking it? 2- What is your favourite geographic location? 3- What book do you recommend most to others? 4- What's the latest life lesson you've learned? thank you Sarah! I love your question choices. Love your answers and your questions! My kids also "sleep in" but I can't for the life of me wake up before them, but I truly feel like the days I do I am a better parent and know it would be better if I just made it priority to be up before them...but some days they are up at 7 some days 8:30, if they would stick to the same time then maybe I could get my own biorhythm going hehee.